At the beginning of last month, our director Duane decided to ditch his razor and grow a moustache to help raise awareness about men’s health. For the last 30 days, Duane has been documenting his progress on social media and sharing facts about men’s health to raise awareness about some very important issues. The Movember campaign originated in 2003 when a group of friends decided to cultivate their facial hair to raise money for research into prostate cancer. It now takes place in 21 countries and has raised more than £440 million for research into men’s health issues. Each November, men (and women) across the world are encouraged to leave their facial hair to its own devices to inspire donations and encourage conversations about men’s health. 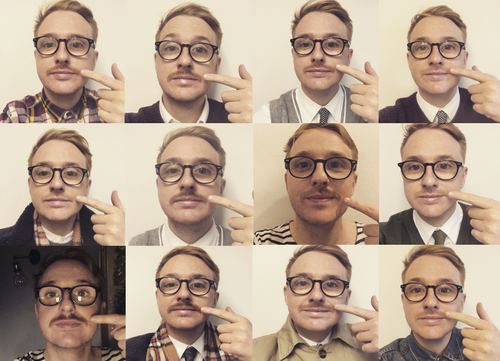 Over the last few years, the Movember movement has widened its focus. Not only does the campaign set out to raise awareness about prostate and testicular cancer, it is now also tackling men’s health more generally, including the crucial issue of mental wellbeing. Yesterday, on the final day of November, Duane shaved off half of his moustache off and sported what the Movember charity have branded the ‘Half-Mast Mo’. This is intended to represent a half-mast flag to pay homage to the men who continue to die too young from preventable causes. “The statistics surrounding men’s health are pretty shocking; about half of men diagnosed with testicular cancer in the UK are under the age of 35 and 78% of suicides in the UK are men. To learn more about the Movember movement, visit https://uk.movember.com/.